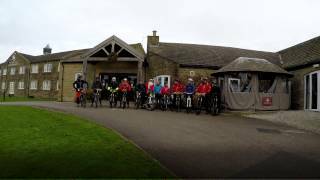 "Where your Yorkshire adventure begins"
We have skills courses to suit all riders from beginners to advanced . We are in the process of schedulling our Porugal rides for September onwards, please keep check our web page for the latest updates. Visiting Yorkshire in 2018? Not sure of the best cycling routes close to your accommodation, then let us take care of the route planning and guiding for you. WE ARE NOW TAKING ORDERS FOR CHRISTMAS DVD gift Vouchers. Are you looking for that unique gift for that special someone in your life? Video filming & Editing services. Do you love filming the trails? Not sure how to put it together?